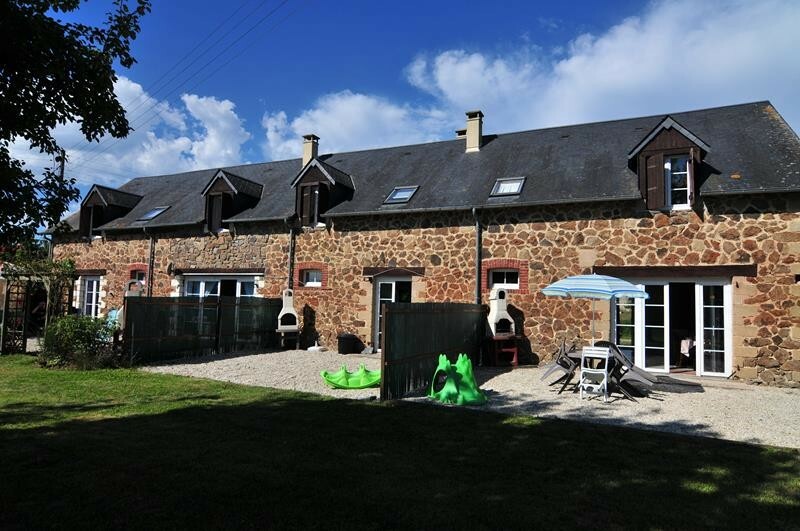 An Ideal home and income for this Farmhouse with 2 attached gîtes for sale in quiet rural hamlet of Normandy. 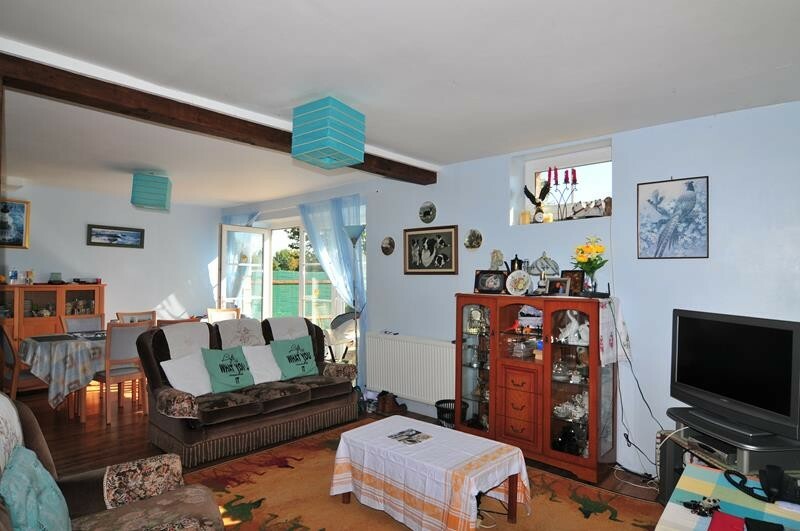 An Ideal home and income for this Farmhouse with 2 attached gîtes for sale in quiet rural hamlet of Normandy. 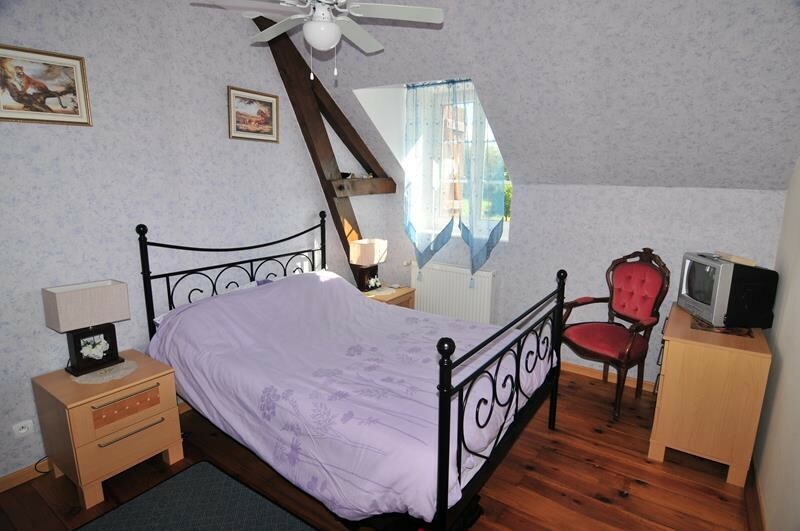 The property used to be ran as a Bed and Breakfast with family suite and owners' accommodation and 2 attached gîtes. 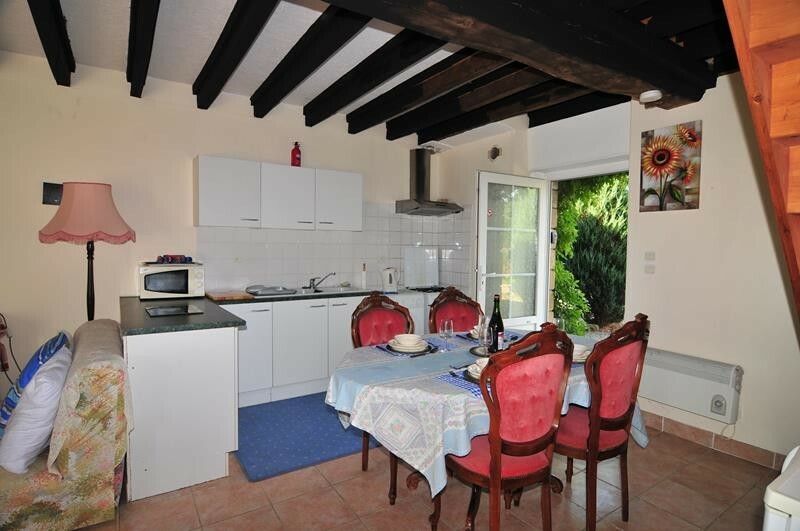 The larger of the gîtes at £480 / week and the smaller at £440 / week in peak season. 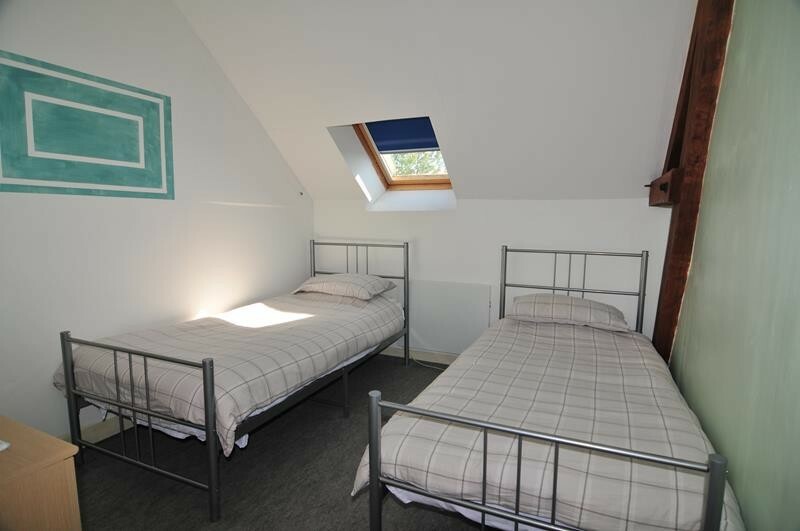 The double bedroom with en-suite rented at £50 per night and the family suite at £75 a night. The entire property is in good condition and ready to generate a home and income for the new owner. 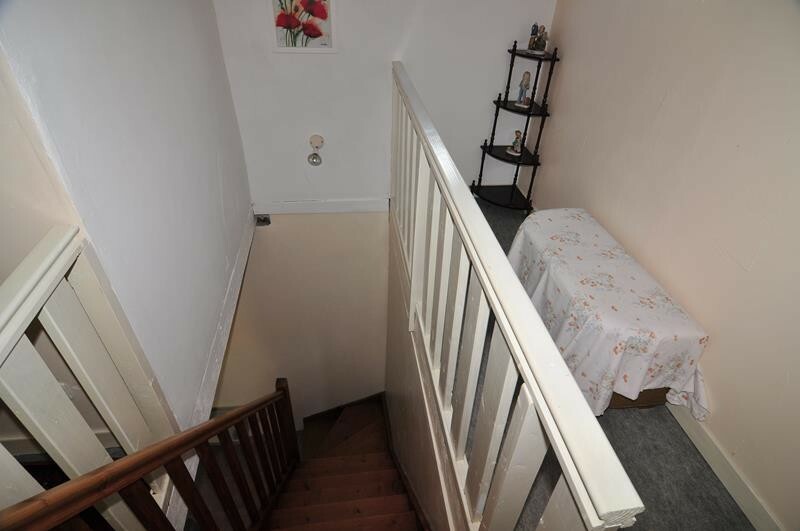 The accommodation is light and airy. 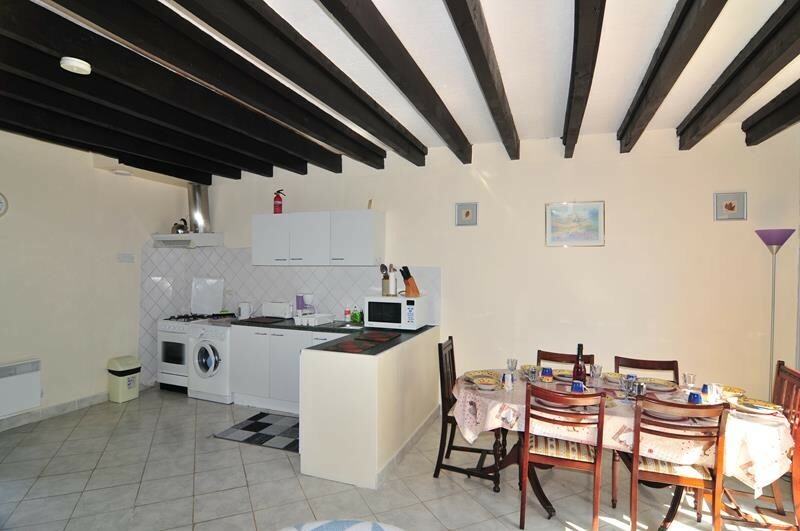 Each property has a terrace area and parking and there is a large shared garden which is mainly laid to lawn. 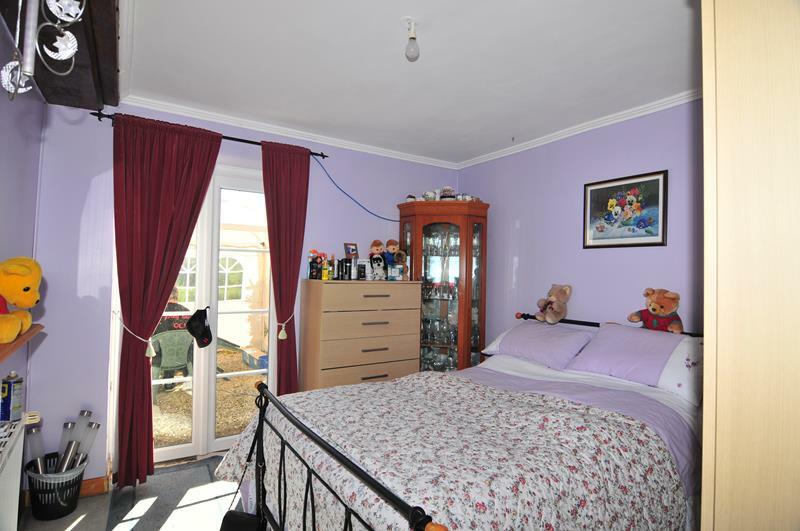 The property benefits from double glazed windows throughout and renovations were completed in 2005. There is an additional detached house to renovate. Entrance Hall Partly glazed door to front elevation. Laminate flooring. Stairs to first floor. Cloakroom WC. Pedestal basin. Boiler. Extractor. Bedroom 1 3.24 x3.10m Laminate flooring. Glazed double doors to rear elevation. Radiator. Open Plan Lounge/Dining Room/Kitchen 6.35 x 6.06m (max) 2 windows to front and window and glazed patio doors to rear elevations. 3 radiators. Laminate flooring. Kitchen Area – Range of matching base and wall units. Wood effect worktops and tiled splash-backs. 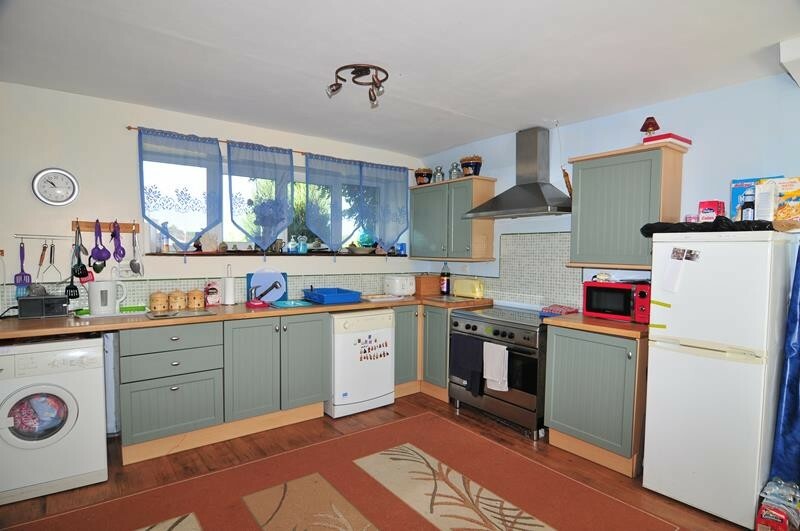 Space for range style cooker with extractor over. Space and plumbing for washing machine. Stainless steel sink with mixer tap. Space and plumbing for dishwasher. Space for upright fridge/freezer. Landing Laminate flooring. Velux window to front elevation. Built-in cupboards. En-Suite Shower Room 2.94 x 2.00m Shower. WC. Velux window to front elevation. Radiator. Pedestal basin. Bedroom 3 3.81 x 2.99m Velux window to rear elevation. Radiator. Bedroom 4 3.55 x 3.19m Window to rear elevation. Adiator. Bedroom 5 3.03 x 2.51m Velux window to front elevation. Radiator. Bathroom 3.20 x 2.28m Velux window to front elevation. WC. Pedestal basin. Radiator. Bath with mixer tap/shower fitment and tiled surround. Extractor. Open Plan Living Room/Dining Room/Kitchen 6.47 x 5.36m Partly glazed door to front, glazed double doors and window to rear elevations. Tiled floor. Stairs to first floor. 2 electric radiators. Smoke detector. Base and wall units. Double sink unit with mixer tap. Space and plumbing for washing machine. Space for free standing cooker with extractor over. Worktops and tiled splash-backs. Space for fridge/freezer. Cupboard housing electrics and hot water cylinder. Landing Velux window to front elevation. Smoke detector. Bedroom 1 3.14 x 2.74m Velux window to rear elevation. Electric radiator. Bedroom 2 3.94 x 2.66m Velux window to rear elevation. Electric radiator. 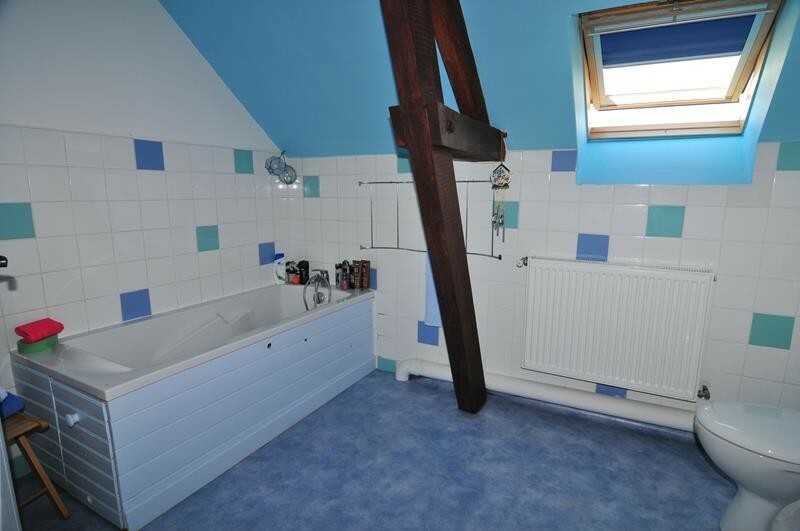 Shower Room Shower. WC. Pedestal basin. Convector heater. Velux window to front elevation. Extractor. Open Plan Living Room/Dining Room/Kitchen 7.58 x 6.44m Partly glazed door and window to front and window and glazed double doors and side panel to rear elevations. Tiled floor. 3 convector heaters. Exposed beams. Smoke detector. Extractor. Base and wall units. Single stainless steel sink with mixer tap. Space and plumbing for washing machine. Space for free standing cooker with extractor over. Worktops and tiled splash-backs. Stairs to first floor. Cupboard housing electrics and hot water cylinder. Landing Velux window to front elevation. Hatch to loft. Smoke detector. Bedroom 1 3.87 x 2.57m Velux window to rear elevation. Convector heater. Bedroom 2 3.71 x 2.25m Window to rear elevation. Convector heater. Sloping ceiling. Bedroom 3 3.83 (max) x 3.78m Velux window to front and window to north elevations. Convector heater. Shower Room 2.44 x 1.77m Shower. WC. Convector heater. Pedestal basin. Velux window to front elevation. 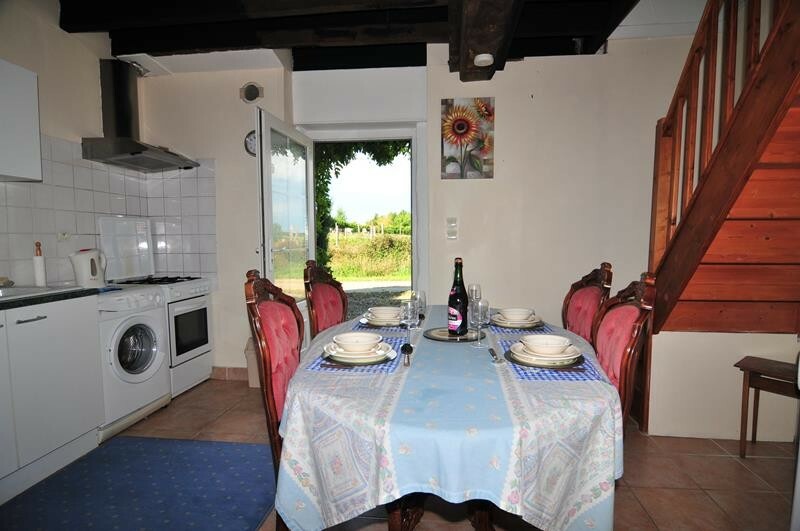 Each Gite has a private gravel terraced area with BBQ and parking. The garden is laid to lawn. Shed. Mature trees. Attached to the main house is a lean-to housing oil storage tank. Old Detached House Ruin 13.00 x 5.22m Constructed of stone, cob and block under a slate roof. 3 rooms. Fireplace. Attached store. (This could be developed subject to obtaining planning permission). Well. Drainage to 2 all water septic tanks installed in 2002. 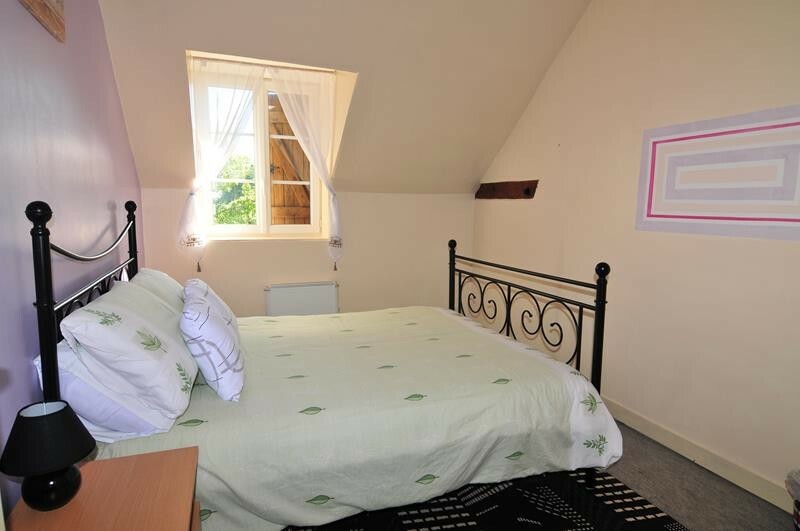 Oil fired central heating in the main house and electric heating in the gîtes. 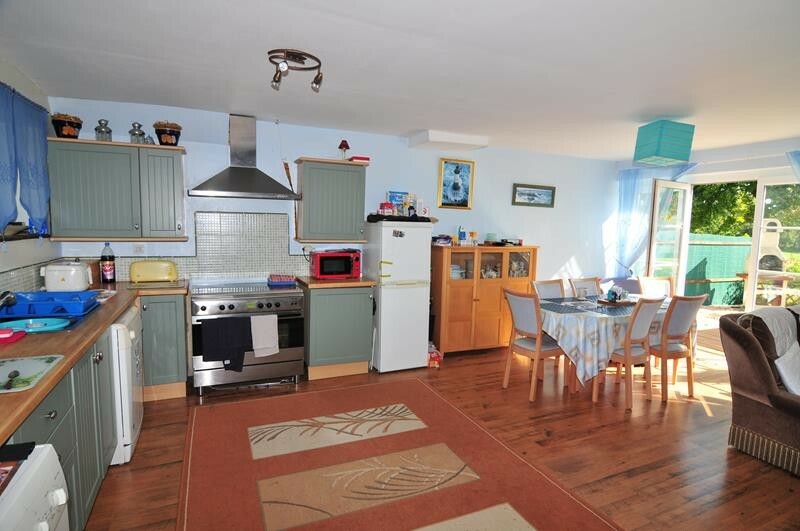 There is one electricity supply to the property but separate count readers in each gîte. 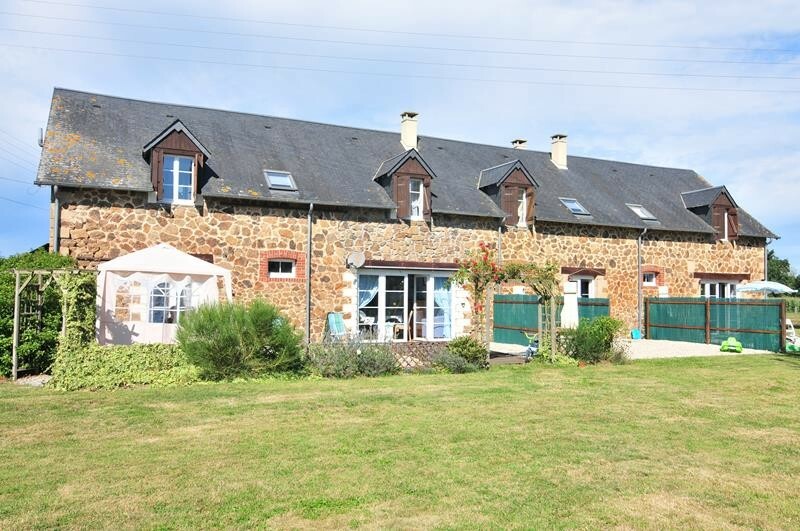 The property is in a small rural hamlet between the Andaine Forest and the medieval town of Domfront (8 km) and about a 5 minute drive from the village of Juvigny-sous-Andaine where you'll find, a supermarket, boulangerie, butchers, doctors, hairdresser/beauty therapist, Post Office, school (primaire et maternelle) 2 excellent restaurants/Hotels, Notaire, public tennis court and garage. Nearest hospitals are 10-15 minutes away. It is also 14 kms from the spa town of Bagnoles de L'Orne. The Ferry port of Ouistreham is 1.20 hours away. Caen Carpiquet Airport is an hour away (to London City Airport). Dinard Airport is less than 2 hours away.